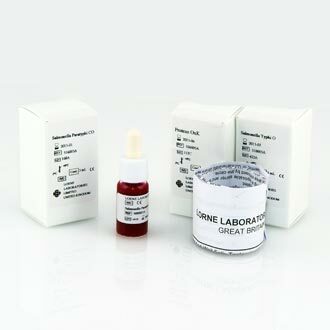 Rose Bengal is a slide agglutination test for the qualitative and semiquantitative detection of anti-Brucella antibodies in human and animal serum. The stained bacterial suspension agglutinates when mixed with samples containing specific IgG or IgM antibodies present in the patient sample. The kit is designed to provide 50 tests.